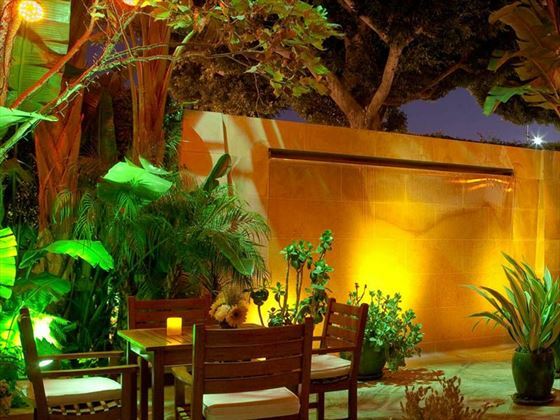 A luxurious and elegant property in the heart of the neighbourhood, the Viceroy L’Ermitage Beverly Hills is a sophisticated hotel just moments from Rodeo Drive. The refined décor and iconic setting creates a truly unforgettable holiday experience. The cultural attractions of the city are close by, along with charming beaches and great restaurants, so you’ll be able to explore with ease. The accommodation at the Viceroy is plush and spacious, giving you plenty of opportunity to unwind. An indulgent spa session comes courtesy of The Spa at L’Ermitage, where you can pamper yourself with a range of therapies and massage treatments. If you want to take a dip or soak up the sunshine, there are two pools with poolside cabanas to make the most of as well. The hotel is located in the heart of Beverly Hills, within a short distance of the Getty Centre, Rodeo Drive and Sunset Boulevard. There is a total of 117 rooms. *Please note that all room categories sleep up to two people. The hotel welcomes families and provides a range of amenities including bottle warmers, cots, bed rails and kids bathtubs.